This beautifully maintained home shows pride of ownership. Offering single level four bedrooms, two full baths, three car garage, new stainless steel appliances, large pantry, Master bathroom has been upgraded new glass block shower, whirlpool garden tub, travertine tile, dual sinks...tastefully done. Master walkin closet has builtin shelves and organizers, custom made window coverings, wood floors and travertine throughout, custom oak built-in wine storage cabinet, rear patio offers built-in BBQ, entertainment bar and bench seats. 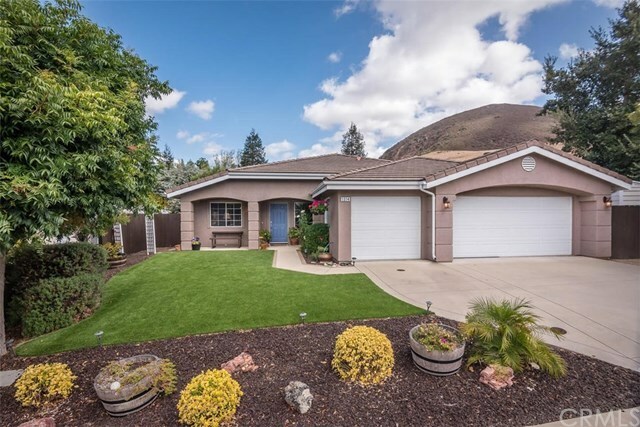 New garage door, storage shed, front yard has been newly landscaped with turf and drought tolerant plants. Close proximity to trail heads, walking paths, parks, tennis courts, schools and shopping. Information not verified.